In vitro fertilisation (IVF), which means fertilisation outside the womb, was first started in the 1960s by scientist Robert Edwards and gynaecologist Patrick Steptoe, who were colleagues at King’s College, London. Scientists were already experimenting with animal fertilisation outside the body at that time with satisfactory results. It struck Edwards and Steptoe then that IVF would be greatly benefit couples who had problems conceiving. As the practice was considered controversial at that time, Edwards and Steptoe had trouble getting their research recognised, what more funded. Undeterred, the duo set up base at Oldham, United Kingdom, where they successfully delivered the first IVF baby girl, Louise Brown in 1978. The first IVF baby boy, Alaistair Macdonald, was born the following year. Women who partook in IVF back then were sworn to secrecy for their own safety, as the procedure was still considered too radical for the general public. The success stories created a lot of excitement around the medical world, and other hospitals in Australia and United States soon caught on in 1980 and 1981. However, treatment was extremely costly, and very few could afford it. Even with the best of efforts, success rates stood at 12%, hence several IVF attempts had to be made before achieving a successful pregnancy. Women also had to stay in the hospital for two weeks for doctors to monitor their hormone levels through urine tests, and adopt awkward physical positions for hours after egg harvesting. Despite that, interest was tremendous, with long waiting lists among couples who yearned to have babies. Today, more than five million IVF babies have been born around the world. The treatment process is patient-friendly, where women only need to do day procedures instead of being warded. A single egg harvesting procedure can produce sufficient embryos for several pregnancies, with the availability of cyro freezing. With medical advancements, success rates have risen in tandem. In Malaysia, established centres such as TMC Fertility Centre, success rates are at 65%. 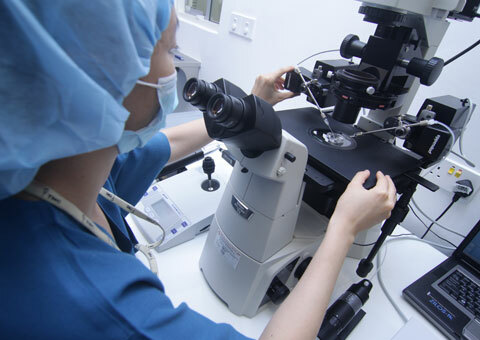 Highly sophisticated technologies today can also help couples increase pregnancy chances and detect chromosomal abnormalities before embryo implantation.